you can eat – and drink – for your bones? phosphate, and living bone cells. reach peak bone mass at around 18 to 25 years old. actively lose calcium, leading to loss of bone. you can suffer from osteoporosis, and bone fractures. proven to be linked to this problem. 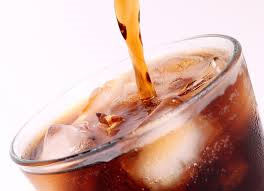 caffeine and phosphorous in cola may cause bone loss. women, but not other carbonated beverages. several hours and then cook them in fresh water. body starts to lose calcium in your urine. 2,400 mg of salt each day (about one teaspoon). protein diet lost mineral bone density. varieties of coffee, according to a Mayo Clinic report. whose calcium absorption ability is already compromised. intake can prevent bone problems in the future. 7. Does Soy Help or Hinder Bone Development?